RTE star Jennifer Maguire is a new mother - but she's already back in the saddle. 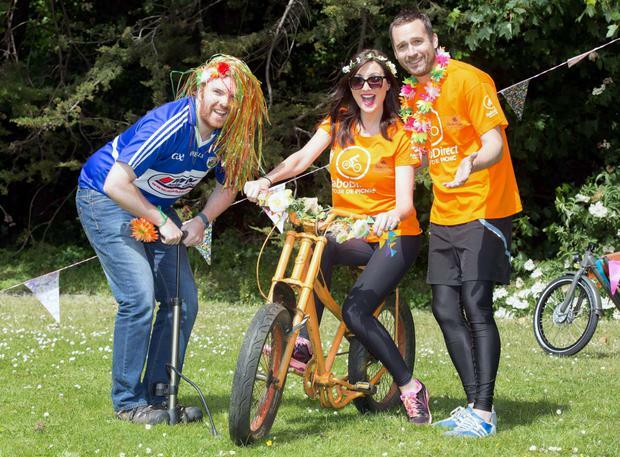 The popular broadcaster and comedian recently gave birth to Florence but, proving that there is little or no rest for the wicked, she's back on her bike ahead of an 80km charity cycle to the Electric Picnic next week. "Your head will do it, your legs will do it but your arse mightn't so wear appropriate cycling shorts," she advised sagely. "I've done some great training in the past two weeks. I've trained myself in various pubs around Dublin because the Picnic can be tough on your liver! The cycle is a piece of cake. "But really…. over the past couple of months, I’ve been getting back in the saddle and training for my annual trip to the Picnic on the Rabo Direct Tour de Picnic, raising funds for The Irish Youth Foundation, Special Olympics Ireland and the ISPCC." 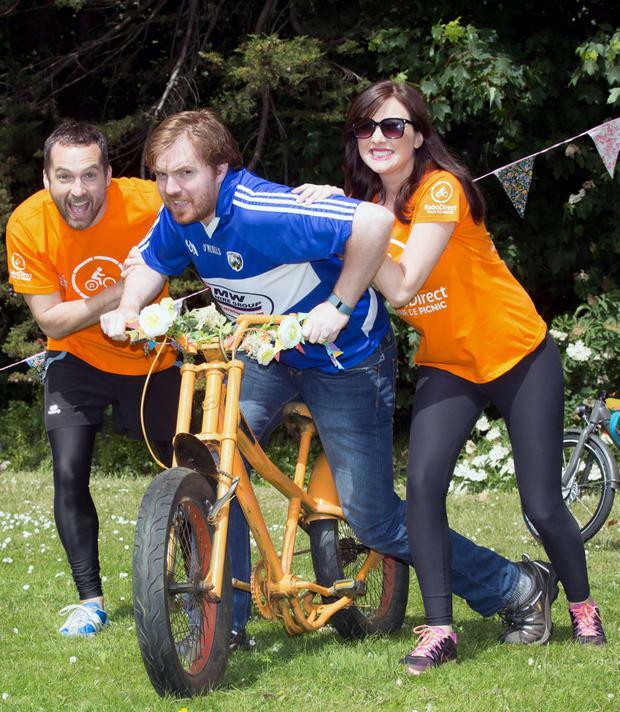 She added she was feeling the pressure as her 2fm co-host, Keith Walsh is also taking to the road for the 80km trip down to Stradbally Hall on Friday, September 4. "Although the trip isn’t timed, I’m still keen to pip him to the post and get to Electric Picnic before him… girl power and all!" she added. "I plan on getting a 60km spin in this weekend so if anyone spots me walking into work on Monday morning looking like John Wayne, you know why in advance." The 33-year-old said she has been getting friends and family involved in the fundraising. "I’m actually really excited about getting on the bike as it’s my first official cycle since having Florence," she said. The charity event is the last chance for people to acquire Electric Picnic tickets - as the three-day event has been officially sold out for months. “Anyone who does it gets very well looked after, they get a kit and all their food and they get their bags transported down there, and we have ice baths afterwards,” he said.